The Auckland Rose Society Inc. is a non profit organisation dedicated to promoting the cultivation of the world’s most favourite flower. 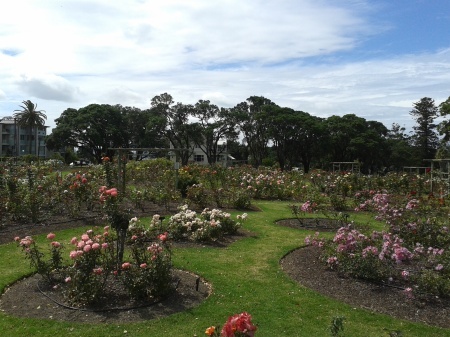 Founded in 1945, we are a District Rose Society working at a local level ‘To implant the rose in the hearts and gardens of the people’ which is the motto of the New Zealand Rose Society. As a Society we are essentially a collection of friendly Rose enthusiasts (both experts and amateurs) who are brought together by a keen interest in and a common love for the Rose. We meet on the fourth Saturday of each month, at the: Auckland Horticultural Council Complex, 990 Great North Rd, Western Springs.